At one point in Jeff Tremaine’s The Dirt, Mick Mars (Game of Thrones’ Iwan Rheon) turns to the camera and says, “This didn’t actually happen.” The statement serves as a thesis of sorts for the film, summarising both how it was made and how we should probably read it. 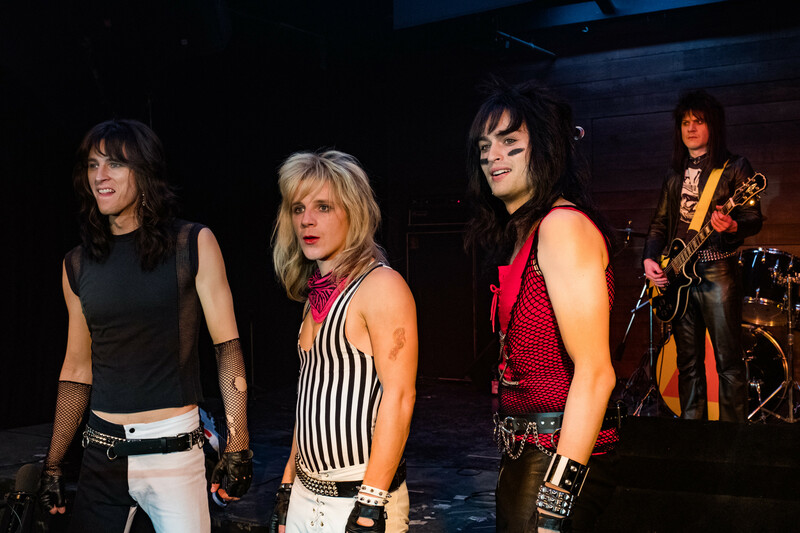 The Dirt is a screen adaptation of the 2001 glam-metal memoir of the same name, which Mötley Crüe co-authored with The New York Times’ Neil Strauss. The band’s four core members—Nikki Sixx (Douglas Booth), Tommy Lee (rapper Machine Gun Kelly), Vince Neil (Daniel Webber), and Mars (Rheon)—have since joined forces once again to produce the film, a process that reportedly started in 2006. As we were recently reminded with Bohemian Rhapsody, however, film projects don’t become works of art simply because they stew for several years. Both films are also excellent examples of how artists’ involvement in their own biopics usually results in sanitised, overly-filtered versions of the past. Tremaine’s film, which premiered on Netflix this past Friday, chronicles the formation, ascent, dissolution, and eventual reuniting of Mötley Crüe. In the twenty odd years it covers, the band signs with Elektra Records’ Tom Zutaut (a rugby-shirt-wearing Pete Davidson); hires a manager, Doc McGhee (David Costabile); gets laid, hitched, and divorced; and suffers objectively awful personal crises. The Dirt’s strongest performances arguably come from Booth as Sixx and Rheon as Mars, even if the former actor’s probably a bit too pretty for his role and the latter isn’t given much to work with aside from playing the band’s resident “old dude.” The remainder of the film is a bit of a mixed bag: The amateur MTV historian in me enjoyed the recreation of the “Looks That Kill” video; the feminist in me was quick to notice that with only a few exceptions, every woman in this film is a conquest. All four band members experienced their share of traumatic events, and The Dirt’s entire second half is devoted to making sure we understand that. Sixx’s troubled relationship with his parents worsens an already-bad heroin addiction. Lee’s marriage to Heather Locklear (Rebekah Graf) implodes with the help of a National Enquirer cover story. Mars’ rare form of arthritis eventually progresses into his needing a hip replacement (an event that didn’t actually occur until 2004 but has seemingly been re-dated for the film’s sake). The unluckiest of the bunch is Neil, who commits vehicular manslaughter while driving under the influence, serves two weeks for it, and later loses his four-year-old daughter, Skylar, to cancer. Neil’s scenes are really the only ones in the film that pack any emotional punch: A memorable shot has him alone on one side of Skylar’s hospital bed while his ex-wife is consoled by three people on the other. But even these less glamorous moments have been hand-picked: There’s nothing in Tremaine’s film that Mötley Crüe doesn’t want us to see. It conveniently ends just before Lee’s marriage to Pamela Anderson, for instance, whom he later served jail time for abusing. (He hits his first fiancée in the film after an argument, but we immediately move on from both the incident and the fiancée.) There are as many embellishmentsin The Dirt as there are omissions, but no choice has been made that challenges or bolsters the band’s existing myth. It’s unsurprising that The Dirt sat in production limbo for over a decade, seeing as its treatment of women’s bodies is squarely stuck in the aughts. It has its fun moments, but this isn’t a film about four men honestly reckoning with their past behaviour; it’s a celebration of Mötley Crüe, by Mötley Crüe, for Mötley Crüe. 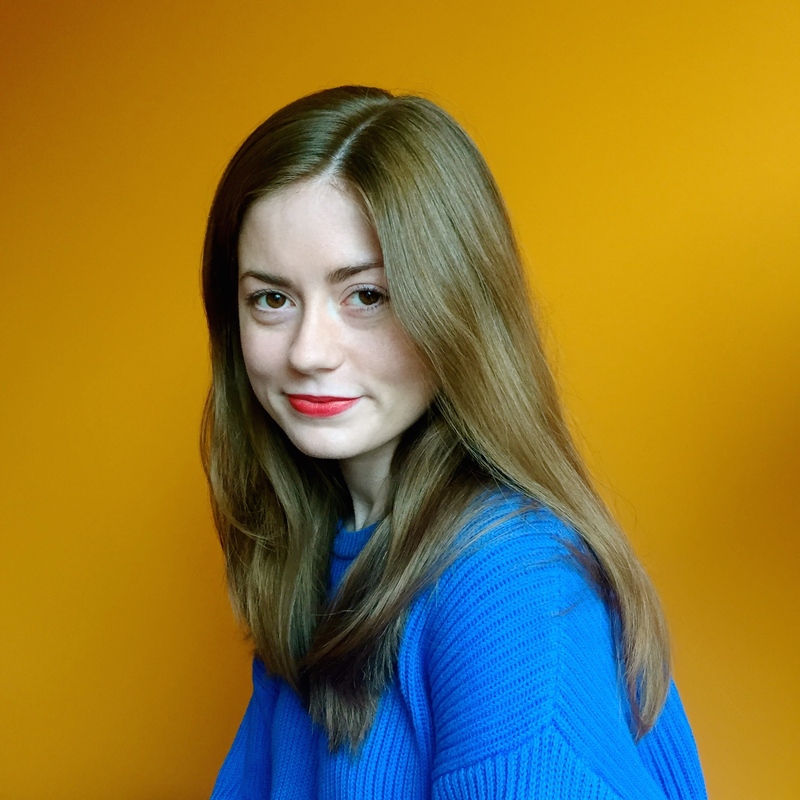 Sydney Urbanek is a writer and the founder of Reel Honey. Based in Toronto, she writes about film, music videos, and chronic illness. She knows the “Telephone” choreography but please don’t ask her to do it. Find her on Instagram and Twitter @sydurbanek. Today Some Like It Hot celebrates its 60th anniversary- What made it stand the test of time to become such a beloved picture?